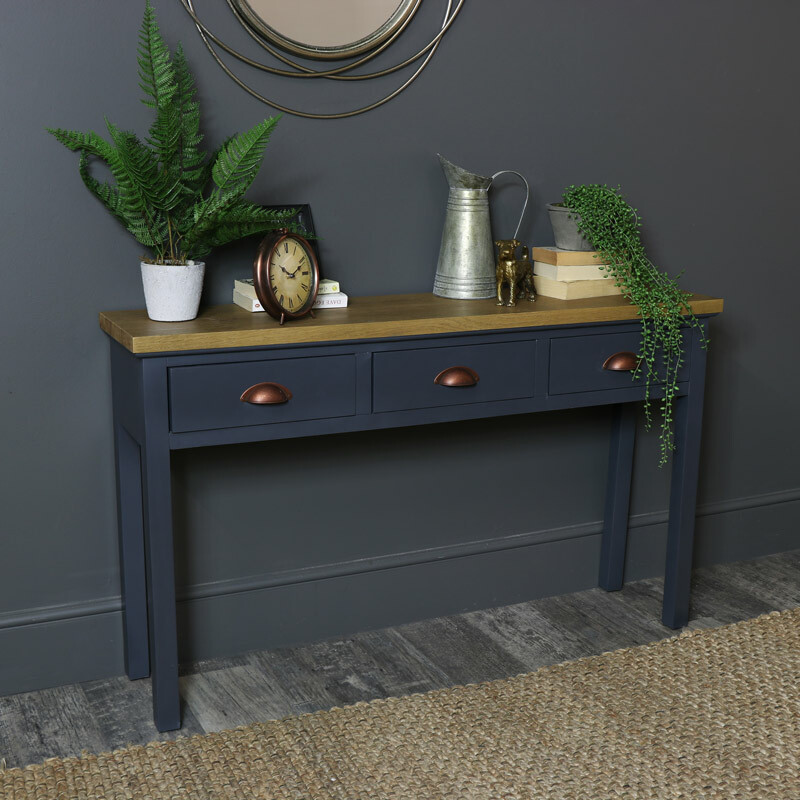 This large console table is the ideal piece of furniture for a country farmhouse feel and comes from our rustic Grayson Range. 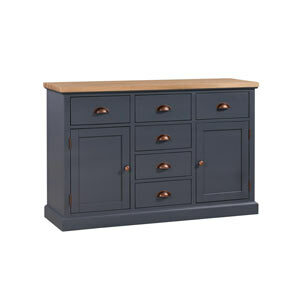 Sturdy, practical and fully assembled with a dark grey painted wooden frame with a contrasting natural wood top and copper toned cup handles. 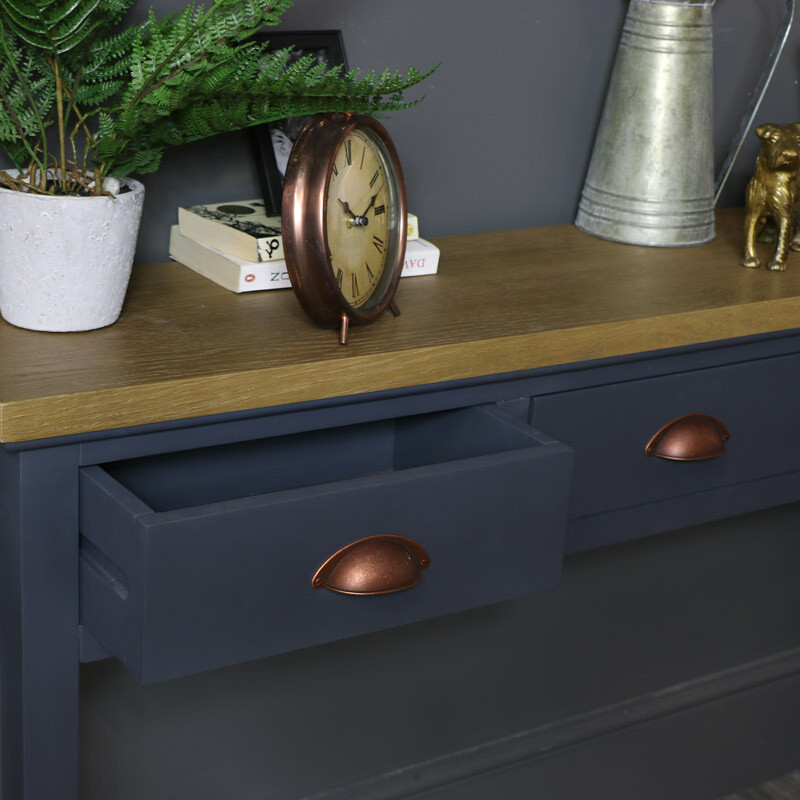 The Grayson Range also comes with matching furniture for the living room and bedroom, including a chest of drawers and wardrobe for the bedroom and even more pieces for the living room and hallway. This stylish and practical, this adds a rustic, country feel to a room and makes a great display surface for ornaments, photographs and floral arrangements. 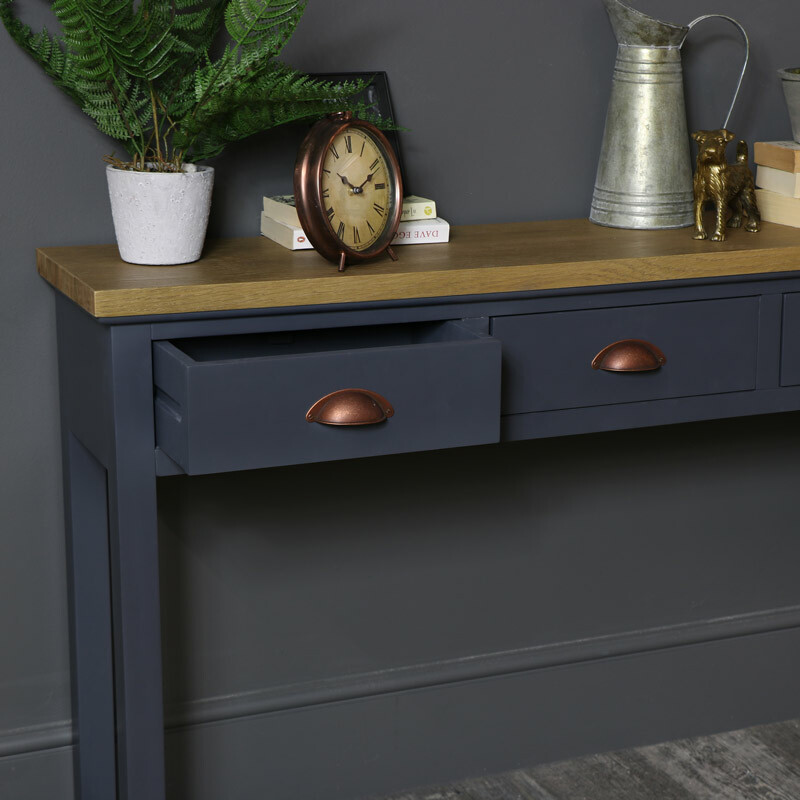 This large console table is the ideal piece of furniture for a country farmhouse feel and comes from our rustic Grayson Range. 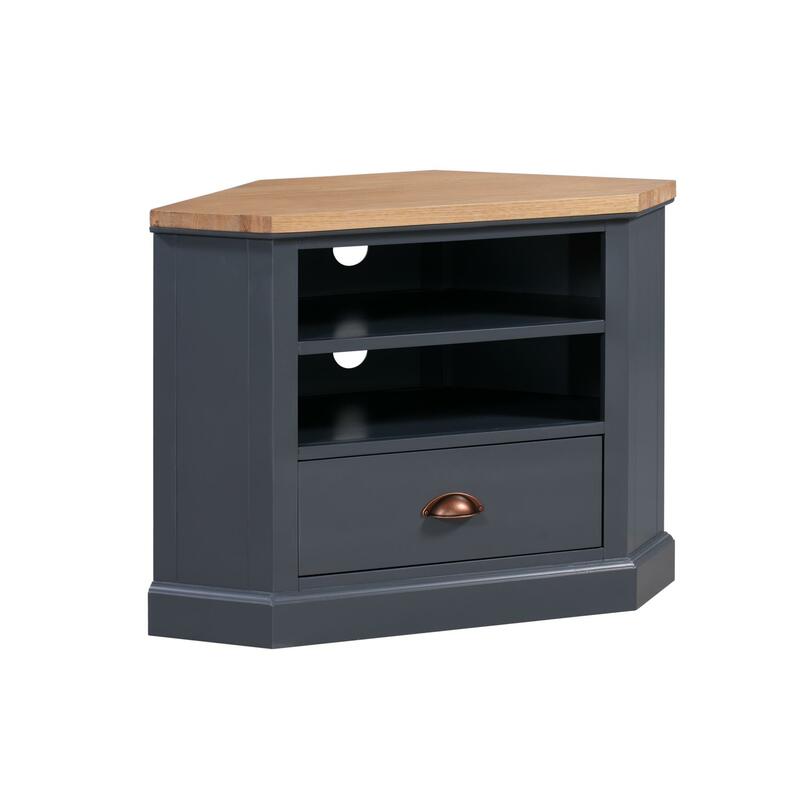 Sturdy, practical and fully assembled with a dark grey painted wooden frame with a contrasting natural wood top and copper toned cup handles. 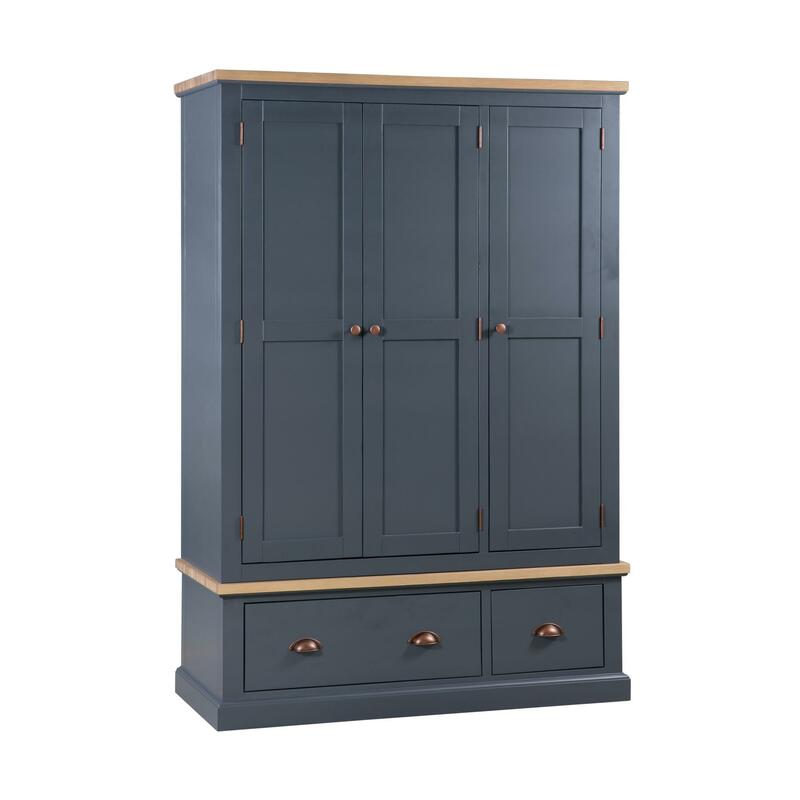 The Grayson Range also comes with matching furniture for the living room and bedroom, including a chest of drawers and wardrobe for the bedroom and even more pieces for the living room and hallway. 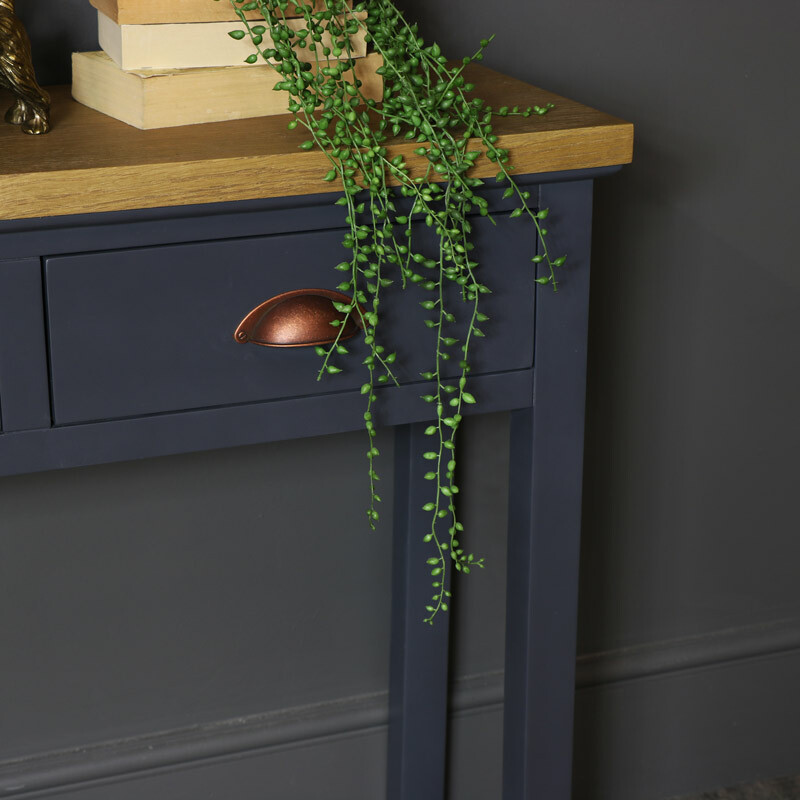 This stylish and practical, this adds a rustic, country feel to a room and makes a great display surface for ornaments, photographs and floral arrangements.